Aspen, Colorado has a rich history with ski racing, but tomorrow - March, 15, 2017 - marks the first return of the FIS World Cup Finals to Aspen since 1950, the first time the finals have been held outside of Europe since 1997, AND the first time the World Cup men have raced in Aspen since 2001. Two Leaves and a Bud is headquartered in Basalt, just down the valley from Aspen, so needless to say, we are thrilled that our community is hosting these international ski racing championships! In fact, we're closing our office a bit this week so our team can watch some of the races together. We are also incredibly proud that athletes, team staff, volunteers, and spectators will be keeping warm and hydrated with Two Leaves and a Bud tea throughout the event. We've partnered with the Aspen Skiing Company to stock the FIS World Cup Finals with tea! The races feature the top 25 male and female ski racers from around the world in eight technical and speed events. On top of her game this season, and number one in the world, is Colorado native, Mikaela Shiffrin. If she seals the deal on this one, she will be the fifth American EVER to win the overall title. This will be history in the making, people! Watch the event for free at the finish area at the base of Shadow Mountain, or with a lift pass, you can watch it directly from the side of the course. If you aren't lucky enough to watch it in person like us, here's the broadcast schedule. Oh, and if just seeing ski racers in thin race suits outside in winter makes you cold, we suggest a nice cuppa' Two Leaves and a Bud tea to keep you warm while you watch! 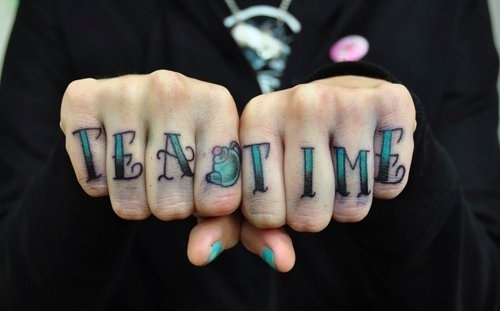 It's tea time whenever this person says it is. Saying that the last 10 years as a tea company has been fun and rewarding and full of important business lessons... well, that's great and all, but let's get right down to it, shall we? Our favorite part of this business is meeting you guys. Which got us thinking: could we recognize a fellow fan of Two Leaves and a Bud just by sight? Probably not, unless your travel mug is sporting a string with a TLAB tag sticking out of it. (Although, some of you love your loose tea on the way to work ... so there goes that theory). We came up with a little list so you diehard Two Leaves and a Bud people could recognize yourselves. 1. You think Camellia would be a good baby name, especially if the middle name is Sinensis. 2. You carry sachets with you as a matter of course, wherever you go. That's why they're so portable, right? 3. The only thing that's constant in your schedule every day is tea time. 4. Sometimes you wish your job would just pay you in loose tea. 5. You'd rather teach your kid all about tea than watch another tea party take place where only air is served. 6. You've never thought, "I overdid it today," while steeping your eighth cup of tea. 7. 7 a.m. means Organic Better Morning Blend, 1 p.m. means Organic Better Belly Blend and 8 p.m. means Organic Better Rest Blend. 8. 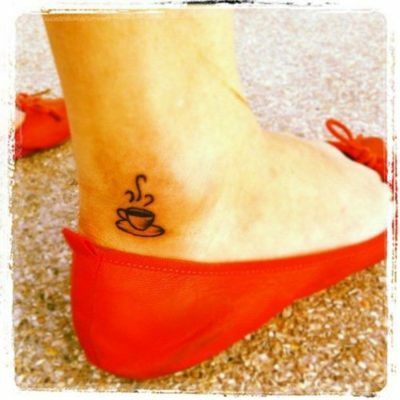 Someone has asked you out to coffee and you've replied, "As long as I can have tea." 9. You are the owner of the best tea stash in your office, and proud of it. 10. You've snorted tea out of your nose — or spat it at a computer screen — because of a great joke. What score did you get? (And if all of these apply to you, are you wondering if you have a problem? You might have a problem. And we might be in love with you.) We want to know from you true Two Leaves and a Bud people — what's missing from our list? Comment here or on Facebook or Twitter, and we're prepared to reward FREE TEA to our favorite answers! Fair warning: We're working on a mega-contest to find out who our biggest fan really is. We're planning a few hoops you'll have to hop through (none of them are on fire, though), and a BIG prize that makes being a our biggest fan truly worth it. Follow us on Facebook or Twitter for the details, which are coming up! 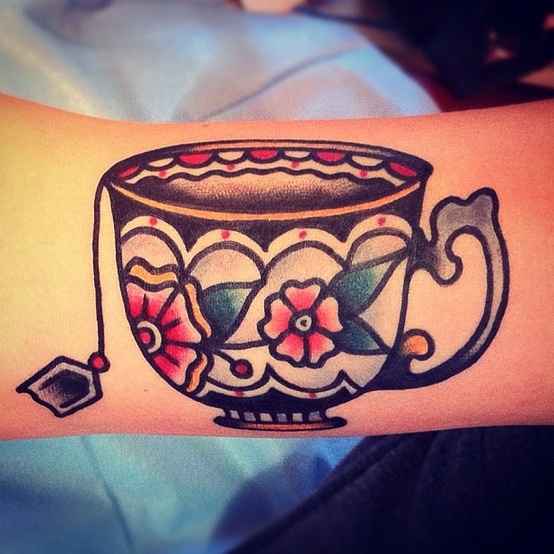 It doesn't have to be a *big* tattoo. 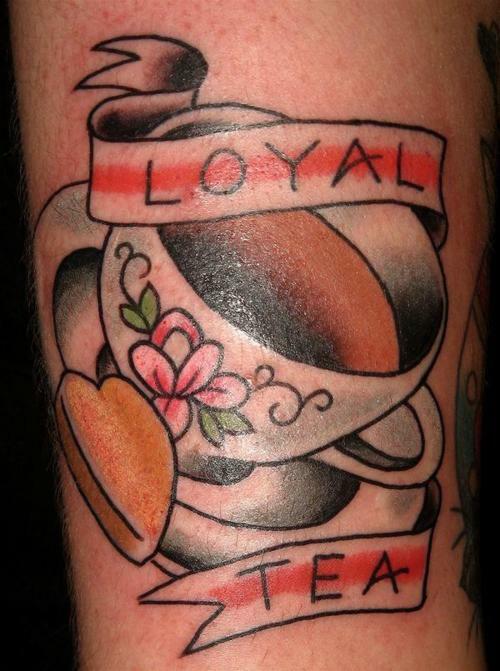 And while we'll note that Googling tea tattoos is super fun, we promise we won't ask any of you to tattoo our logo on yourselves. That would be crazy.